Like a creature from the fog, the Nebelung seems to have come straight from enchanted mists with it's long, silver frosted blue coat. Indeed, even it's name means mist or fog in German. 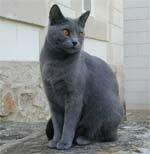 Medium in size, this is a sturdy cat with a long, well muscled body that is draped in a medium length blue coat. The coat should be slightly longer on the tail and a softer blue in the feathering behind the ears. It should be soft and two-layered, with the outer layer soft and silky. The coat should be blue in color to the roots but each hair should appear tipped in silver. 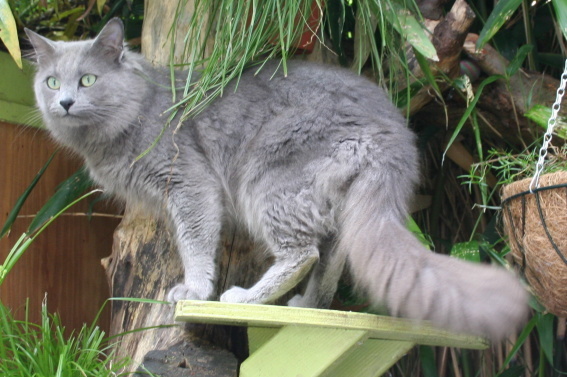 The head of the Nebelung should be a modified wedge that is proportionate to the body. Eyes should be oval, medium sized and widely spaced while green in color. Ears should be large and pointed and set on the head so that they continue the line of the wedge. The body should be well proportioned and athletic while still appearing long and graceful. Legs should be long with medium boning, ending in feet that are well rounded, oval in shape and generously tufted. 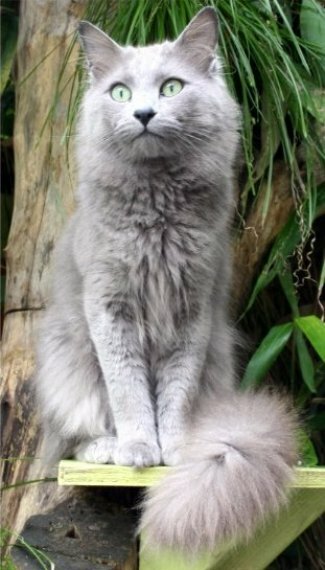 Though shy around strangers and children, the Nebelung is a devoted family cat. Because of their shyness, kittens may need a little time and understanding until they become used to their new home and family members. 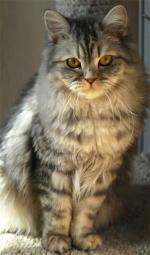 Highly intelligent, they love challenging games and are quite active. Once settled in they will be the first to cuddle into a lap for petting and love to follow their owners room to room providing what they are certain is much desired company. This is an active and affectionate breed that prefers the regularity of their family to a stream of strangers. 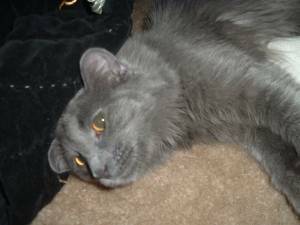 Re-homing the Nebelung can be difficult because of this. 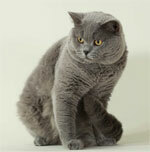 The long, flowing and silky texture of the Nebelung coat requires regular grooming to keep it in good shape. This is an otherwise healthy breed, though when purchasing from a breeder, potential owners should always be careful to discuss any history of genetic defects and illnesses and have their kitten examined by a veterinarian before purchase. 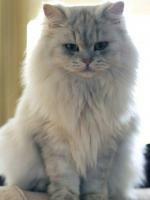 Developed by Cora Cobb, the first Nebelungs were registered in 1985 and two long-haired kittens named Siegfried and Brunhilde were the foundations of the breed. 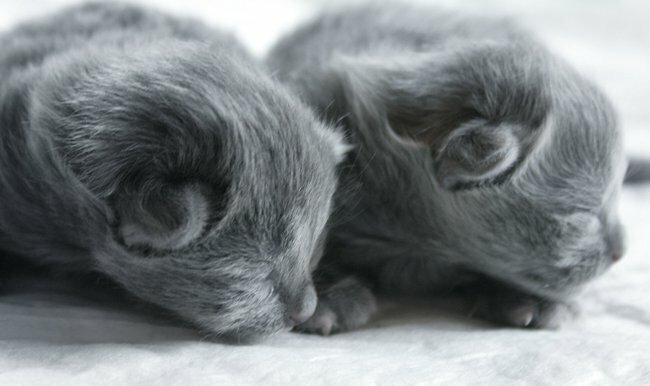 They are allowed to be outcrossed with Russian Blue's in order to keep both the body shape and coat color necessary for the breed while providing new genetic material for a safe gene pool. The breed was recognized by TICA for championship competition in 1997.